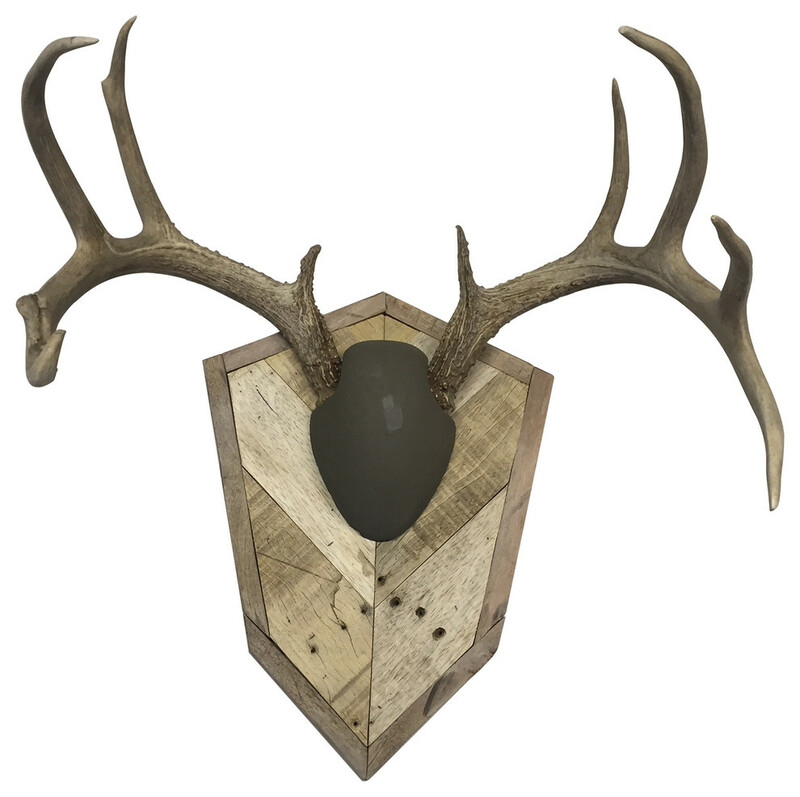 This reclaimed wood antler mount is made of reclaimed wood. This particular plaques is made to display the antlers only. All of the wood we use is reclaimed weathered wood in which may have variations in grain, cracks, nail holes and color due to natural weathering. Hanging hardware included. Antlers not included. W 18.5" / D 1" / H 12" / 5 lb.